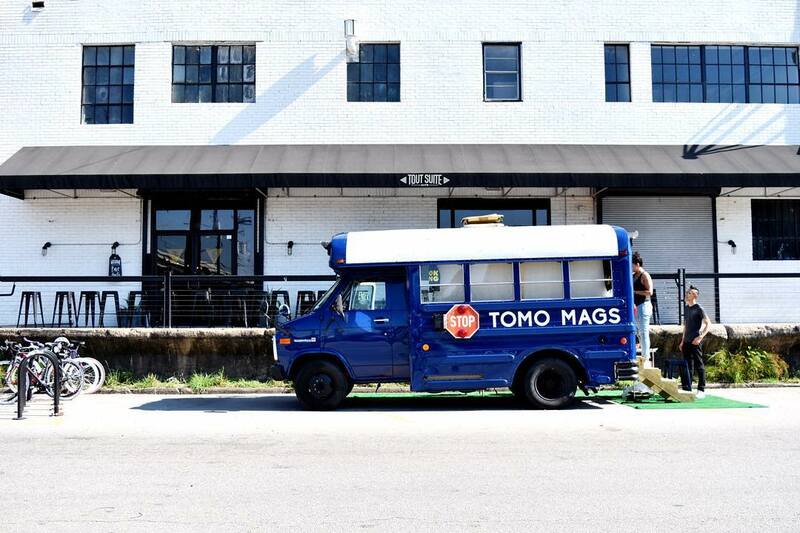 Tomo Mags isn't a food truck, it's a magazine and paper goods shop offering "food for your brain." I was at a shopping party in Rice Village when I spotted a curious blue bus parked outside. To my surprise, it wasn't a food truck frying up two disparate cultures. 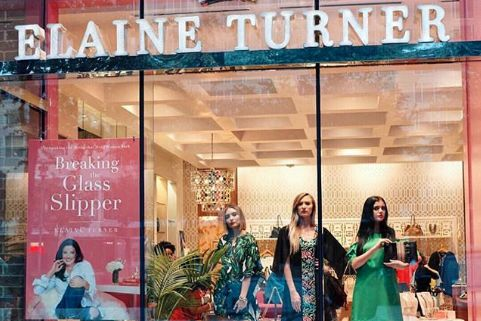 Instead it was an intimate space full of thoughtfully curated journals, stationery and magazines culled from across the globe. 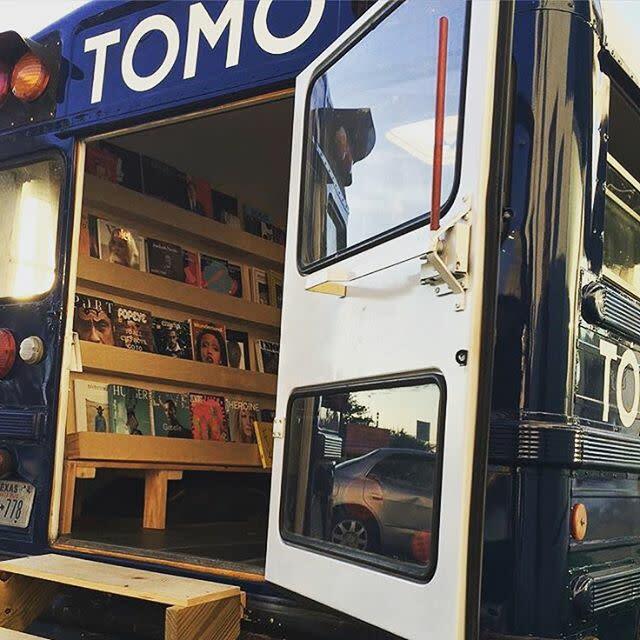 The tiny bus-turned-mobile-shop is a project called Tomo Mags, offering what fashion stylist and co-founder Vico Puentes calls “food for the brain." Tomo stocks independent, intellectual and avant garde magazines and journals, most of which can't be found anywhere else in Houston. Are you looking for photography editorials featuring only redheads? Or perhaps you identify as a 30-something woman who is passionate about jumpsuits? Or maybe you are looking for careful and considered criticism of emerging rap artists? 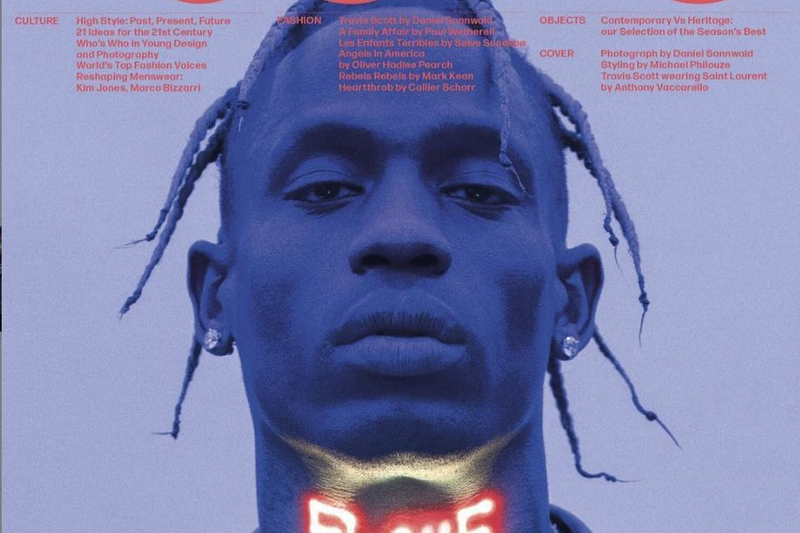 Tomo Mags has got you covered. Their collection of reading material is so specific that when you ask them for a recommendation, they will give you one with startling accuracy. It's like a Myers-Briggs personality test come to life. Puentes and his partner, Keiwing Chong, are longtime 'zine aficionados who understand the magic of discovering design, fashion, art, and ideas via paper form. 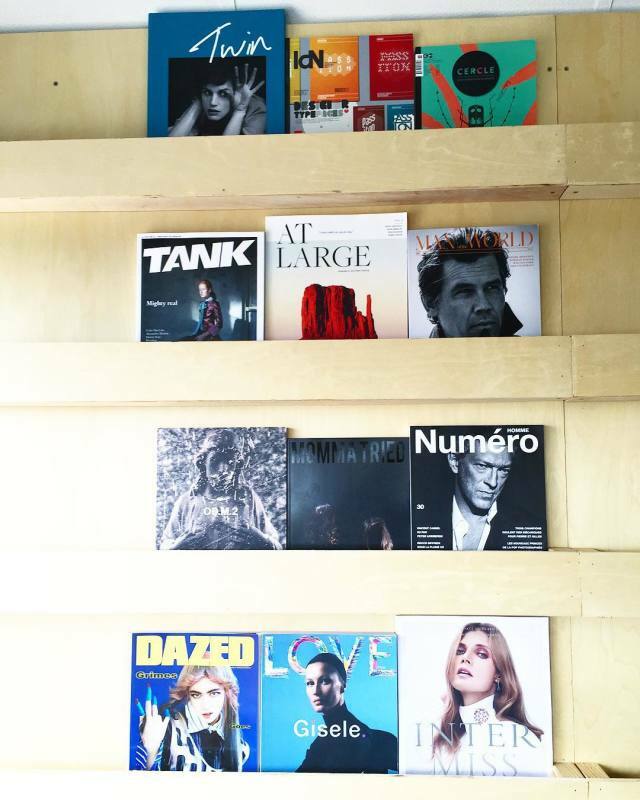 "We are so curious about new publications that we are constantly updating our collection. 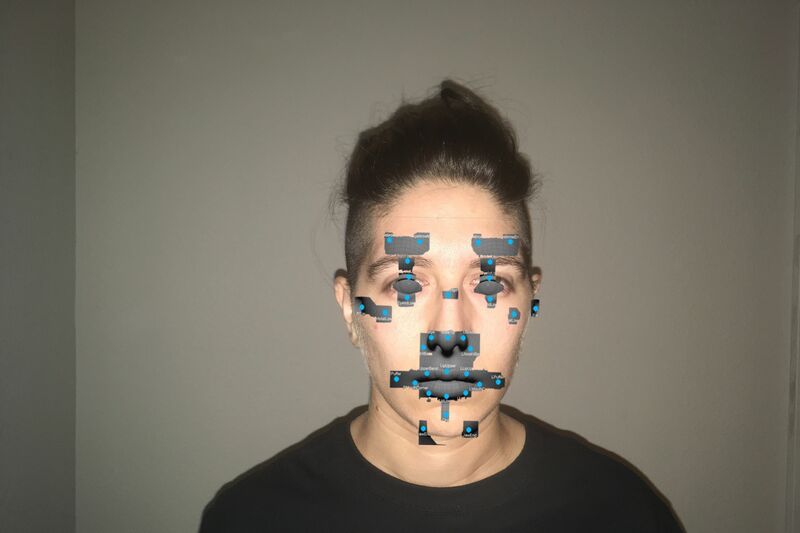 [Magazines are] such an important part of our professional lives, and we want to put these in the hands of people that can feed off that creative energy" says Puentes. "Print has the power to help us disconnect from constant emails, social media likes and other pop-ups, and we want to tune into that movement." They launched Tomo with the intention to provide a respite from our collective addiction to technology, dubbing their regular sessions outside downtown's Tout Suite a #techrehab, touting how touching and flipping through a magazine allows you to slow down and get lost in the content. After my initial sighting, I saw the Tomo Mags bus parked at three different locations—galleries, coffee shops and cultured stores like Sloan/Hall—on consecutive days, and I felt like I was chasing them without even realizing it. By the time the fourth day rolled around I felt strangely bereft when I couldn't get a dose of #techrehab. Then I realized I was in the 21st century, tech rehab can only last so long and I could just follow them on Instagram.